The Xerox WorkCentre 7755 / 7765 / 7775 multifunction printer was designed from top-to-bottom to boost productivity, enhance workflow, and provide a one-size-fits-all solution for office environments. Capable of producing dazzling color images up to 2400 x 2400 dpi with 256 halftones, the Xerox WC 7755 / 7765 / 7775 brings professional level image quality production to the office. With an array of finishing options available, jobs you used to outsource can now be quickly and easily produced. 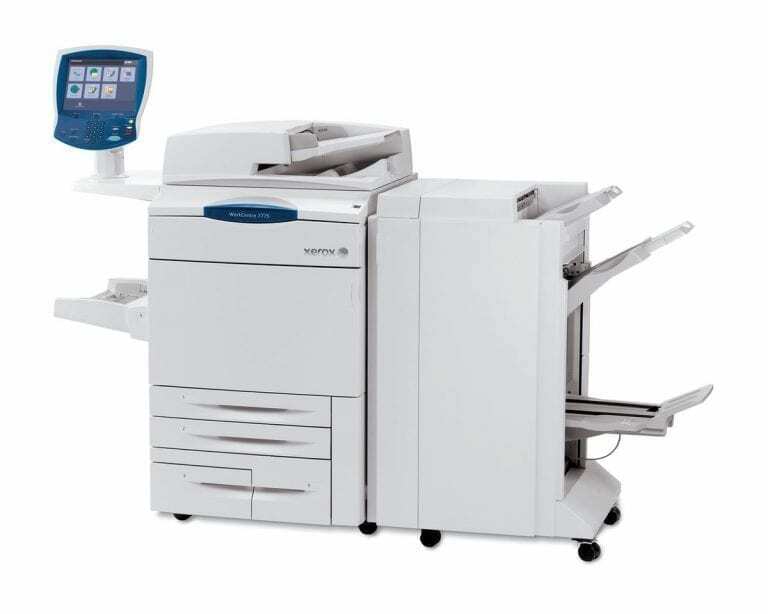 The Xerox WC 7755 / 7765 / 7775 is a scalable solution with a production capacity more than adequate for all office needs. With black and white printing speeds of up to 75 PPM, the Xerox WC 7755 / 7765 / 7775 will streamline printing and production processes and improve your printing workflow. The Xerox WC 7755 / 7765 / 7775 is ideal for office environments where security is a primary concern. With a robust toolbox of security enhancements, including network authentication, Secure Print, and easy integration with unified security ID systems, the Xerox WC 7755 / 7765 / 7775 melds security and production into a small footprint package that won’t take up the whole office. Security features include network authentication, IP filtering, embedded fax, Secure Print, image overwrite, secure access unified ID system integration. 2400 x 2400 print dpi with 256 halftones. Printing speeds up to 75 PPM black-and-white, 50 PPM color (Xerox WC 7775). Total capacity of 5,260 sheets with optional high capacity feeder. 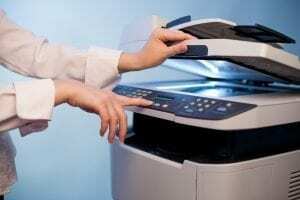 Print / Copy / Scan / Fax / Email functionality. Maximum paper size 13 x 19 in. Scan to network, email, desktop, mailbox, searchable PDF, PDF/A, XPS. Integrated Xerox Standard Accounting functionality. 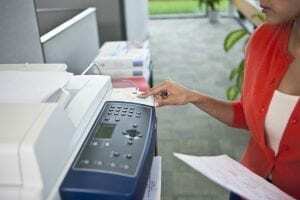 Duty cycle up to 300,000 pages per month (Xerox WC 7775).